I am returning to the judgment in Bates & Ors v Post Office Ltd (No 3)  EWHC 606 (QB) because parts of the judgment set out arguments and conduct of litigation that is, to say the least, unusual. This part of the judgment relates to case management and the litigation strategy and arguments employed by the parties. A number of post-masters and former Post-Office employees are bringing an action relating to (it is said) defects in Post Office systems leading to the creation of artificial shortfalls for which the claimants were responsible. There is a Group Litigation Order and the court was hearing a number of test cases on certain preliminary issues. “10. I have said in each of my written judgments in this case before, and in a number of interlocutory hearings as well, that this is bitterly contested litigation. The parties are poles apart in their approach to the issues, and in their approach to the litigation generally. When shortfalls occurred, the Post Office demanded (and I use that word advisedly) that each individual sub-postmaster pay the sums in question. This stance was consistent with what remains the Post Office’s general position, which is that if Horizon shows a shortfall of X pounds, that shortfall of X pounds must have been caused by the sub-postmaster, either through mistake or dishonesty. Some shortfalls started in the hundreds of pounds, and moved into the thousands, and then tens of thousands, of pounds over a few months. Some Claimants paid these amounts to the Post Office out of their own resources, even though they did not believe or accept that there was anything deficient in their accounting. Some of the shortfalls were only for modest sums. Some Claimants were lucky enough to find accounting irregularities in their favour. Others were convicted in the criminal courts of false accounting, fraud, theft or other offences, and some were imprisoned. The Post Office’s position in this litigation is not quite that it is impossible for Horizon ever to generate any errors, but rather that the system is what is called “robust” and can be relied upon. Further consideration of that will occur in the Horizon Issues trial. It should be noted that the Post Office itself is the prosecuting authority for prosecutions of sub-postmasters. These Claimants claim malicious prosecution against the Defendant, and also claim that there was a “cover up” at the Post Office over the shortcomings in Horizon. Some Claimants were made bankrupt. There are claims for damages for financial loss, personal injury, deceit, duress, unconscionable dealing, harassment and unjust enrichment brought against the Post Office. There is currently a Criminal Cases Review Commission (“CCRC”) review underway in respect of the convictions of a significant number of the Claimants. These are being dealt with together by the CCRC and are, effectively, awaiting the outcome of the technical aspects of this litigation. This is a High Court civil action and has no jurisdiction or involvement in such criminal matters. This approach by the Post Office to the question of responsibility for shortfalls, and to the litigation, is a point to which I shall return. 12. This litigation has, from the date of the GLO onwards, required extensive case management at a great many stages of its turbulent life. The making of a GLO was agreed in principle by the Post Office, who maintain that there was a not insignificant number of sub-postmasters who knowingly submitted false accounts using the Horizon system, that the cases of every individual claimant in the litigation were substantially different on the facts, and there was no common theme that connected them. Prior to the first CMC before me on 19 October 2017, the Post Office initially sought to have no substantive trial(s) listed at all, with a further CMC to be held one year later in late 2018, to fix what would be the first trial date sometime during 2019. I described that then, and still consider this to be, “a 19 th Century timetable”. Modern litigation has to be progressed in accordance with the Civil Procedure Rules, and Group Litigation in accordance with CPR Part 19. The whole ethos is to achieve efficient and cost-effective resolution of disputes. This Group Litigation simply cannot be allowed to drag on for years and years. It should also be remembered that the court does not make Group Litigation Orders lightly. Such an order can only be made with the express approval of the President of the Queen’s Bench Division. It is, to my mind, fanciful to imagine that such an order would be made unless there were reasonable grounds to conclude that there are common themes connecting all the different Claimants and their claims against the Post Office. 13. I have also been realistic in terms of my expectations of the parties and what can be fairly brought to trial in a reasonable time scale. I do not consider that I have set, at any stage, an over-ambitious or exceptionally brisk timetable for the substantive hearings. In October 2017 I set down the first trial, to determine what are called “the Common Issues”, for November 2018, which was the earliest time that the parties told me they could be ready for such a trial. I also set down the next trial, for “the Horizon Issues”, for March 2019, at the same time. In early 2018 I informed the parties that the third trial would be likely to be held in the early summer of 2019, and this would most likely be the full trial of at least some of the Lead Claimants’ cases. The Post Office resisted Round 3 of the litigation (as it came to be called colloquially) being heard in 2019 at all, because it was said that this was too ambitious and would be unlikely to assist in resolving more than a few individual cases. The Post Office also regularly observes that resolution of issues would be unlikely to have wider application to other Claimants. It was necessary to move Round 3 to later in 2019, and that will now be taking place in November 2019, to deal with a number of other issues including limitation. 14. It does appear to me that the Post Office in particular has resisted timely resolution of this Group Litigation whenever it can, and certainly throughout 2017 and well into 2018. A good example of this is the fact that for these Common Issues, the Post Office submitted in paragraph 24 of its Opening Submissions that the six Lead Claimants’ cases should not be treated as representative of the other Claimants. I cannot accept that such an approach would be in the interests of anyone. In my judgment, it would be wholly counterproductive to the way that this Group Litigation has been case managed from the outset. There will always, of course, be some factual differences between every single one of the different Claimants. However, if this Group Litigation is to achieve anything, it must approach resolution of these long-running issues as requiring findings being of general application. It would wholly undermine the purpose of the Group Litigation if these proceedings were to be decided as though they were approximately 550 entirely different and unconnected claims. 15. I do not intend to allow this litigation to become wholly bogged down with considerable costs rising on both sides, whether that approach is a specific one being sought for forensic reasons, or an unintended side effect. 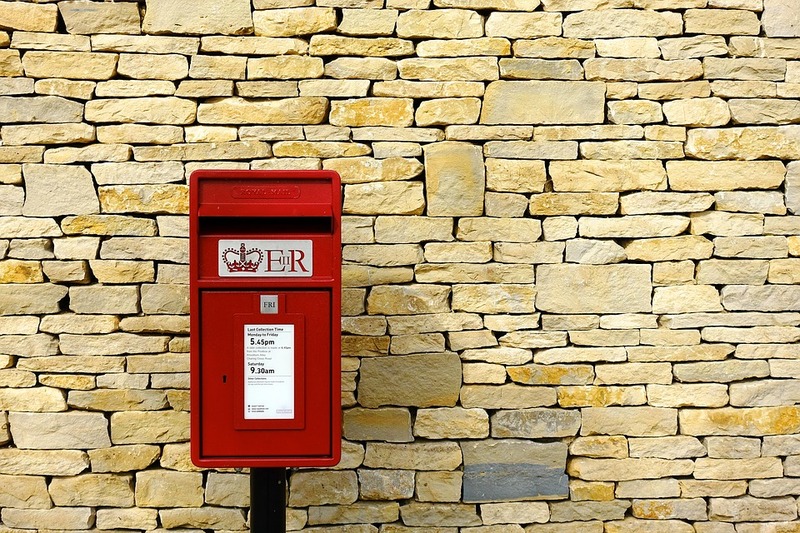 The Post Office has, on its own evidence for an interlocutory application seeking to strike out very large amounts of the Lead Claimants’ witness statements, had concerns that the trial might lead to bad publicity for the Post Office. I provided further information concerning this at  of Bates v Post Office Ltd (No.2) at  EWHC 2698 (QB). 16. Until this litigation is resolved, I intend to hold substantive trials in tranches every single judicial term from November 2019 onwards into the future. This is so that this litigation is resolved as swiftly as possible in accordance with the overriding objective. I explained this to the parties in October 2017, throughout 2018, again during the Common Issues trial, again in January 2019, and I repeat it now. Even on that intended timetable, some Claimants may be waiting far longer than is ideal to have their claims fully resolved either in their favour, or against them. Some of the Claimants are retired; some are elderly; some have (as I have said) criminal convictions under review by the Criminal Cases Review Commission. Nobody involved in this litigation is getting any younger as time passes. The Post Office itself is under a cloud in respect of these unresolved allegations and I consider it to be an obvious point that resolution of this litigation as soon as possible is in the interests of all the parties – all the Claimants and the Post Office – in the interests of justice and the wider public interest. 17. I simply will not tolerate any approach to the litigation that does anything other than seek to resolve these many issues as promptly as possible, taking into account fairness and the overriding objective in CPR Part 1. 18. The Post Office has maintained throughout that the Horizon system worked perfectly well, although now that the parties’ respective IT experts have met and reached agreement on some matters that latter point will become far more technical, and of course may change. The Post Office asserts generally, but in particular in relation to the operation of Clause 12 of the Sub Postmasters Contract (“SPMC”) and Clause 4 of the Network Transformation Contract (“NTC”) (dealt with in detail below), that it is entitled to rely upon an inference that the shortfalls shown by Horizon are correct and the financial responsibility of the individual SPM in question. In a sense, that sentence could be said to sum up a large area of the dispute between the parties. Is the Post Office entitled to rely upon such an inference concerning the technical functionality of the Horizon system? The full and final resolution of that question will have to wait for a later trial. However, the Post Office also accuses the Claimants of a “kitchen sink” approach to the many different contractual issues, and submits that the Claimants must be hoping that by casting their net particularly wide on an enormous number (for example) of implied terms, they might actually end up with something to which they are not, in law, entitled. The Post Office also submitted that the Claimants are seeking wholly to rewrite the bargain they struck with the Post Office when they contracted to provide services as sub-postmasters. 19. The Post Office, in many instances with some vigour, pursued the shortfalls with different Claimants as accounting discrepancies for which those Claimants were contractually and legally responsible. The Claimants denied responsibility for them, and in all the Lead Cases, their evidence is that they did their best to investigate them but could not do so because of the way that Horizon operated, and because of the way that the Post Office behaved. The Lead Claimants all gave evidence that they had sought the assistance of the Post Office in getting to the bottom of the shortfalls. Not only did they not receive such assistance, Mr Bates as an example (who had prior experience in IT matters) asked for further training and was told he was not entitled to any. 20. Some sub-postmasters had their contracts with the Defendant terminated, sometimes very abruptly. In Mr Bates’ case, this was done whilst he was expressly challenging the accuracy of Horizon and he believes this was expressly done because he was so challenging this. In Mrs Stubbs’ case, notwithstanding her 27 years’ experience, service and prior record (both as assistant to her husband, who was originally the sub-postmaster, and as sub-postmistress herself after he died), she found herself suspended and locked out of her Post Office. The Claimants also believe that the Post Office, over time, came to know about these difficulties with the Horizon system, but did not address them, did not publicise these problems, and actually expressly told them that there was nothing wrong with the Horizon system and that they were the only SPMs who were experiencing such difficulties. 21. Nothing in this judgment should be taken as my expressing any concluded view on the functionality of the Horizon system, as the issues relating to that will be tried by me between March and May 2019. Nor should this judgment be taken to be making any findings in fact concerning any particular allegations of breach by the Post Office. This judgment is concerned with the Common Issues. However, this cannot be done in complete hermetic isolation from any facts at all. The Post Office adopted a curious position so far as the Lead Claimants’ evidence of fact is concerned. Having failed to have that evidence struck out, and not having sought to appeal that order, Mr Cavender QC cross-examined on a great many aspects of it. The Post Office made submissions that some of the Lead Claimants were positively lying to the court (for instance Mr Abdulla), and were mistaken in fact as to contract documents provided prior to contract formation (for instance Mr Bates). However, at the same time, the Post Office urged me not to make findings as to credit. This appeared, on close examination during oral submissions, to amount to adopting a hybrid approach to witnesses, and an approach with which I am not familiar (nor can I find any authority). The Post Office was entitled to challenge the credit of the Lead Claimants, if it so chose, and it did. However, the Post Office seemed to want findings on that only if they were in the Post Office’s favour. This is a peculiarly one-way approach by any litigant. I deal with the credit of the Lead Claimants in Part C.
22. Because the subject matter of this litigation is so controversial, there has been a great amount of public interest in it. Over the years, and prior to the issue of proceedings by the Claimants there was an action group formed, called Justice For Sub Postmasters Alliance (“JFSA”). Mr Bates was centrally involved in this. Encouraged by some Members of Parliament, an independent inquiry was set up by the Defendant using a specialist company called Second Sight Services Ltd (“Second Sight”) that ran from 2012 until 2015, when it was terminated by the Post Office for reasons that are currently unclear. Evidence was given to a Parliamentary Select Committee by the Chief Executive of the Post Office in February 2015. This was in relation to the Mediation Scheme funded by the Post Office that had run for a while jointly under the auspices of the Post Office, Second Sight and JFSA. That publicly funded scheme ended without resolving the issues between the Post Office and sub-postmasters involved, and was roundly criticised in an adjournment debate in the House of Commons. There have been various reports and documentaries in the media, including a BBC Panorama documentary entitled “Trouble at the Post Office” in August 2015. 23. There is a large amount of public interest in the case generally, as demonstrated by the fact that three different applications by the press (including the Press Association and a national newspaper) were made in the first two days of the trial (all of these being dealt with by consent and without the need for any ruling), and a fourth application on the final day of evidence. The first three applications related to the supply to the press of skeleton arguments (also called written openings) and witness statements, although the latter with the addresses of the witnesses redacted. The principles in Cape Intermediate Holdings Ltd v Dring  EWCA Civ 1795 at , , ,  to  and  per Hamblen LJ (with whom the President of the QBD and Newey LJ agreed) make it clear that both the written openings, and the witness statements of witnesses once they have been called, can and should be made available to non-parties. 24. The fourth application was by Mr Wallis, a freelance journalist, which he made himself. He had attended every day of the trial, and was posting reports online of what was occurring during the legal argument and evidence at the trial. By his application he sought permission to record the proceedings on his own equipment. He explained the reason for this was so he could provide accurate quotations of evidence. 25. The trial had the benefit of an electronic trial bundle from a private provider. As part of this service, a “real time” transcript was also being made available to the court and the parties during the actual evidence, with counsels’ questions and the witness’ evidence appearing on a number of screens in court (the documents being referred to at the time appearing on another screen called the “common screen”). This transcript was then compiled into refined form by, usually, about 5.30pm each day, and that document would then be e mailed by the provider to the parties and the court in both PDF and Word form. A further finalised version would then be produced after corrections by the parties, and uploaded to the electronic bundle. 26. I refused Mr Wallis’ application to record the proceedings himself. However, neither party objected to his being provided with the daily transcript at the end of each day, or the finalised version thereafter. of Cape Intermediate Holdings v Dring makes it clear that although the proper means for a non-party to obtain a trial transcript is set out in CPR 39APD6, “if, as in this case, a private transcription service was provided at trial then the appropriate and most cost effective course of action is likely to be to seek a copy from the provider…..” This was not opposed by either the Claimants or the Post Office who were sharing the cost of the electronic trial bundle between them in any event. This meant that Mr Wallis, and by extension all those who read his reports (which would have included many of the hundreds of Claimants), had access to fully accurate passages of evidence and argument. 27. I refer to the press interest for completeness, because applications from the press were received, and also because it is part of the background. However, for the avoidance of doubt, I wish to make it clear that all the issues in this litigation, both these Common Issues and the other issues yet to be tried, will be decided objectively on the evidence given in court and the submissions on the law. The fact that I have referred to matters by way of background above (for example the Parliamentary Select Committee and the BBC documentary) does not mean that I have taken matters other than the evidence and legal argument in this trial into account. 28. Another point with which I have to deal is what Mr Cavender QC for the Post Office described in Opening as a “challenge to the court”. He submitted that “one of the challenges to the court might be how it approaches that situation where its sympathies on one side might be in a certain sub-postmaster group in one direction and with a more commercial group in another”. It ought not to be necessary to state that no judge makes decisions based on personal sympathy. It also ought not to be necessary to recite that every party, and every witness, comes to the court at a substantive trial with a clean slate, regardless of the procedural history of the proceedings. This litigation is being tried by a judge and not a jury, but even juries are told (and are assumed) to make their decisions objectively and to put no personal emotion into the decision-making process. The Post Office may have made these submissions because, on an objective analysis, it fears objective scrutiny of its behaviour, or it may have made them for other reasons. Of the six Lead Claimants, three were chosen by the Post Office and three were chosen by those acting for the Claimants. Mrs Stubbs had a particular experience with the Post Office, and this was described by Mr Cavender as being “at one end of the spectrum”. He did not identify what that spectrum was, but I assume he meant her experience was an extreme one. Given she was presented with a document to sign in the branch post office the very day after her husband had died, when she was also asked to increase the opening hours of her branch, the Post Office may well be right. The Post Office cannot find the document she signed that day. I certainly hope none of the other Claimants had documents presented to them in such circumstances. I will deal with Mrs Stubbs’ individual circumstances in Part C which deals with the evidence of the Lead Claimants. 29. I would however add only this. Although the parties cannot agree on very much, they are agreed that the Post Office is an important national institution that provides a crucial service to society. They are agreed that in some rural communities, for example, the Post Office is the only way that individuals and businesses can access cash, banking services and financial services. The Post Office has explained that due to the size of its network, and the nature of the business transacted, it has to have “a very high degree of control” over what sub-postmasters do and how they do it. Because of the way that the parties approach the litigation, each of them prays these features in aid of why their answers to the Common Issues are to be preferred. 30. I found the approach by both parties in some respects unhelpful. The rule of law means that all individuals and legal entities are subject to the same laws as everyone else. There is no special exemption available for the Post Office because it has a lot of branches, or for sub-postmasters either. The balance of bargaining power can be a relevant feature in the law of contract, and this is well known, and commercial common sense is also relevant. However, a party (here the Post Office) threatening dire consequences to national business should their case not be preferred is not helpful, and this seemed to me to be an attempt to put the court in terrorem. 31. The first Common Issue, as will be seen, is whether the contracts between the Claimants and the Post Office are what is called “relational contracts”. This might prove to be one of the most important issues in the litigation, although whether that is correct or not cannot be prejudged at this stage. In my judgment, it is certainly one of the most important issues. Even if I do find that it is a relational contract, inevitably the parties are not agreed on what the effect of such a finding would be. But there is no separate set of legal rules for how the Post Office is entitled to contract with its sub-postmasters, simply because it is the Post Office, and vice versa. 32. It would, in my judgment, be entirely wrong to start consideration of an issue such as whether the contracts are relational, by taking account of a risk said to lurk in the background that if the answer in this litigation is unfavourable to the Post Office, then the Post Office would no longer be able “to control” its network of branches, or that its business would as a result of such a finding come under “existential threat”. Commercial common sense comes into matters of contractual construction. Contractual arrangements involve apportionment of risk and reward between the different contracting parties. They also involve, by definition, parties agreeing to an arrangement between themselves in a particular way. The Post Office accuses the Claimants of seeking entirely “to rewrite the bargain that was struck”. Given at least some of those bargains were struck by sub-postmasters after others amongst the cohorts of Claimants say that they had brought to the attention of the Post Office itself their views concerning the functionality of Horizon, assertions about what bargains were in law struck, may well be heavily affected by the decision on whether these were relational contracts. It is also true (and the parties are agreed) that cash is used in the majority (or at least a great many) of the transactions performed in Post Office branches, and that sub-postmasters deal with that cash, and occupy a position of trust. There is an obvious element of trust involved in dealing with such transactions, and I consider that this is an important component of the parties’ relationship. However, the fact that trust is involved is not alone and in itself an answer to the different Common Issues. 33. There are two different types of contracts that are under consideration. The first is the Sub-postmaster Contract, or SPMC. This was then modified in 2006 and became known as the Modified SPMC. The second is the Network Transformation Contract, or NTC. This model of contract became used after something called the Network Transformation Programme (“NTP”) which was initiated by the Post Office in 2011, firstly in pilot form. In general terms, the NTP involved rationalisation of the Post Office branch network. Some branches were closed and the incumbent sub-postmasters and mistresses were paid compensation. These were called “compulsory exiters” and the compensation, which was 26 months’ remuneration, was paid from something called the Discretionary Fund. A significant number of SPMs – I am told about 2,700 – remained on the terms that governed their appointment before the NTP, and there are a great number whose terms of appointment are the terms in the NTC. New sub-postmasters were engaged on the terms in the NTC. There are two types of post office established under the NTP. One type was called “Main”, and these were larger branches. The other type was called “Local”, and these were smaller, more local post offices. There are no issues in this litigation, and no Claimants, governed by the Main NTC. There are many governed by the Local NTC. I will therefore use the description NTC to mean the terms of the NTC for Local Post Offices. There is also a contract called a Temporary Sub-postmaster Contract, although the terms of that did not feature to an appreciable degree in the evidence. In order to attempt to keep this judgment to a reasonable length, I have extracted many of the conditions in both the SPMC and the NTC into Appendices 1 and 2 respectively. I also only deal with the Modified SPMC (as opposed to the SPMC) where necessary. This should not be interpreted as not taking account of the full extent of all the clauses in all the contracts as required. Equally, a vast number of authorities were cited in argument, approximately 144 in total. I have read them all, but I only deal in this judgment with those I have found necessary to determine the Common Issues. For the clauses within each of the SPMC and the NTC, I shall use Section 1 Clause 1 for such a term within the SPMC; and Part 1 Paragraph 1 for a term within the NTC, to try to help avoid confusion. 34. Each side called evidence of fact. I heard from each of the six Lead Claimants. The Post Office called fourteen witnesses. All of the witnesses were cross-examined. I deal with my conclusions as to these witnesses in Parts C and D of this judgment. The Post Office objected to vast tracts of the Lead Claimants’ evidence of fact and sought to strike it out in advance of the trial; I dismissed this application in Bates v Post Office Ltd (No.2) at  EWHC 2698 (QB). In closing submissions, the Post Office sought to persuade me that none of the evidence that I had refused to strike out was relevant to any of the Common Issues. The Post Office seemed to adopt an extraordinarily narrow approach to relevance, generally along the lines that any evidence that is unfavourable to the Post Office is not relevant. The Post Office adduced a significant quantity of evidence of its own to demonstrate (as it saw it) that (for example) Horizon training was perfectly well designed and adequate; on the other hand, it sought to keep out specific evidence by Lead Claimants of their own individual experiences of the training they had received.